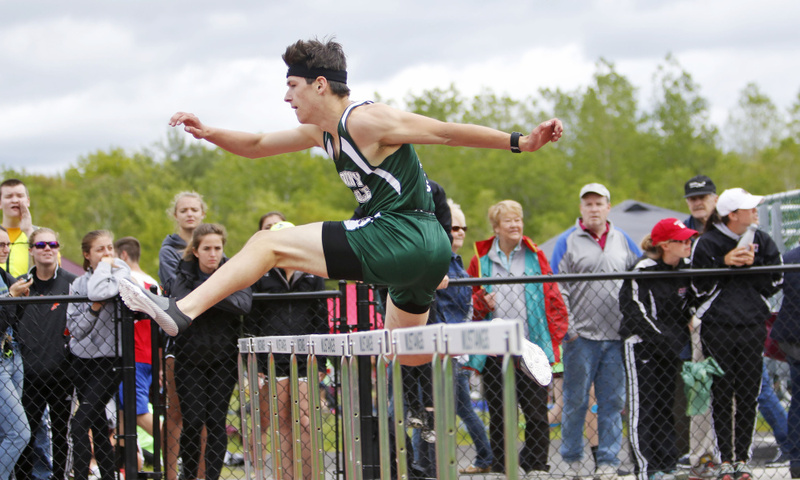 WATERBORO — State-record performances are nothing new for Scarborough’s Sam Rusak, and he and his teammates already knew what it took to win a track and field state championship. 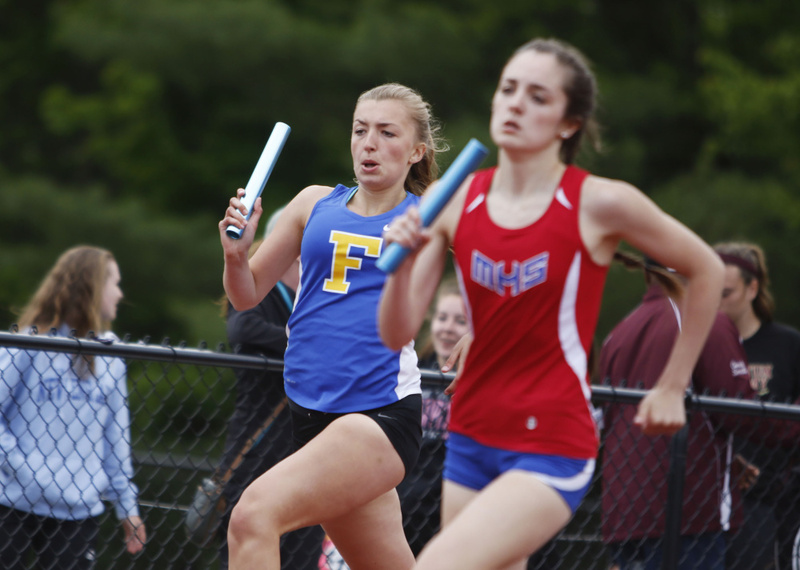 The Cheverus girls, meanwhile, had never won a track state title, but a star sprinter whose high school career is just getting started helped change that Saturday at Massabesic High School. 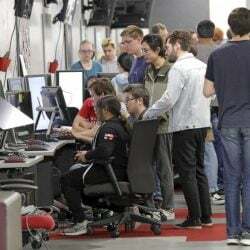 Rusak tied the state record in the pole vault and anchored the Red Storm’s 400-meter relay team to a state record as the Red Storm won the Class A championship for the second year in a row and the third time in five years. 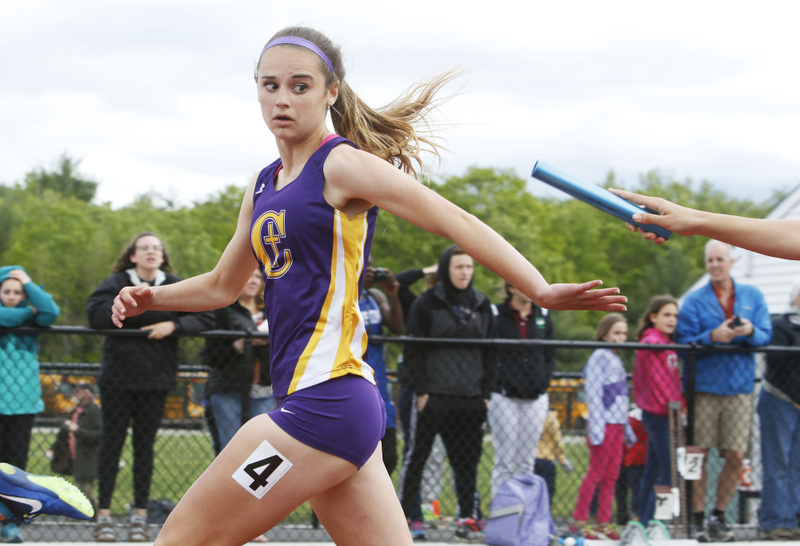 In the girls’ meet, freshman Emma Gallant broke the state record in the 200 and also won the 100 to lead Cheverus to its first championship. 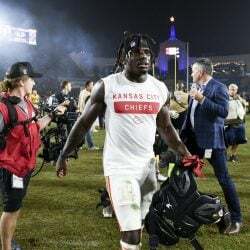 “I had no idea I ran that fast. I didn’t even know what the state record was,” Gallant said with an amused smile after she ran the 200 in 25.33 seconds, breaking the record of 25.49 set by Nicole Kirk of Scarborough in 2011. Gallant’s winning time in the 100 was 12.60. 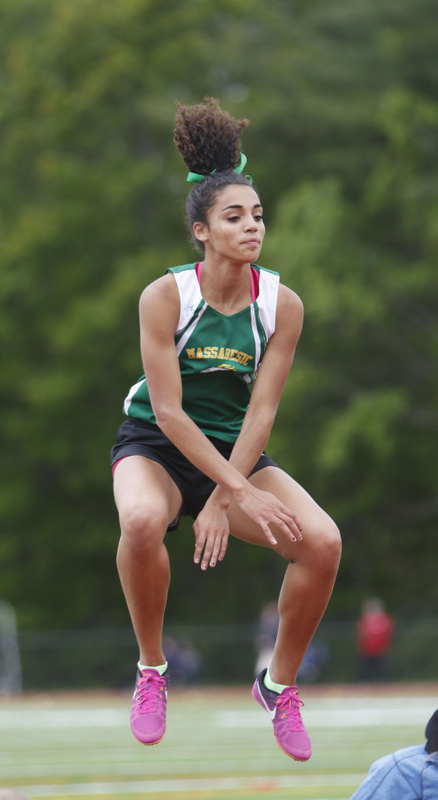 She also ran a leg on the second-place 400-meter relay (50.63) and the victorious 1,600-meter relay (4:04.68). 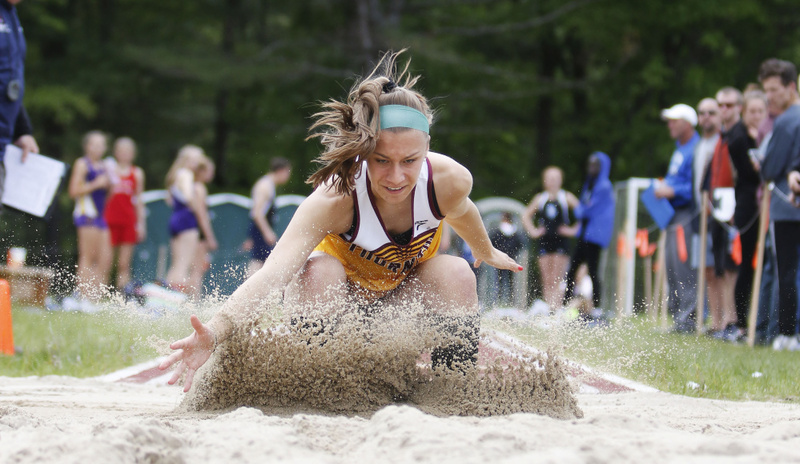 Cheverus finished with 74 points, beating Thornton Academy (60.5) and defending champion Falmouth (60). 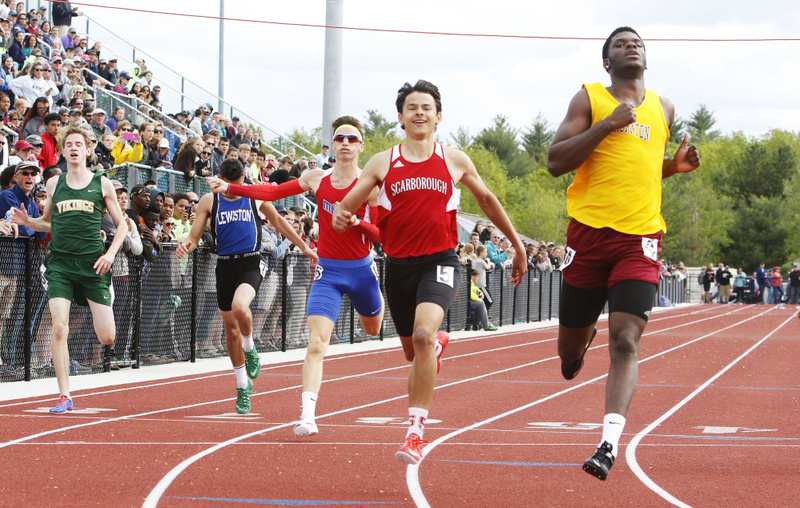 Scarborough ran away with the boys’ title with 103 points, ahead of Thornton Academy (50) and Messalonksee (49). 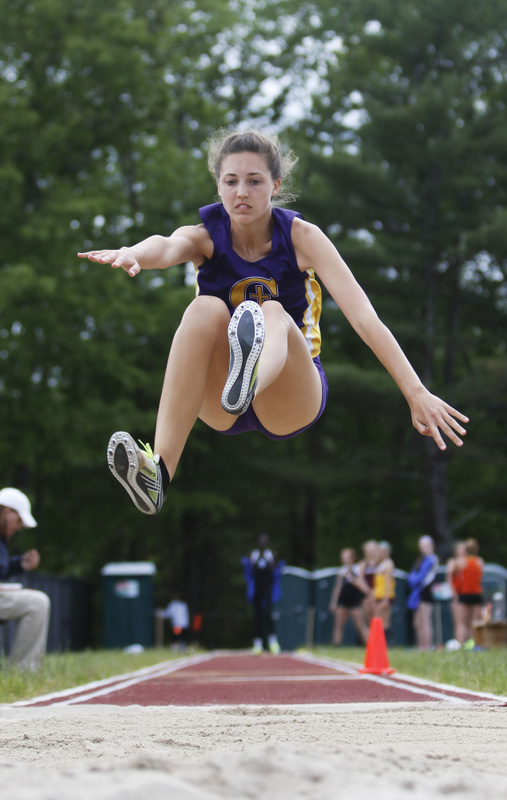 Emily Turner, a senior, and Emma White, a sophomore, also played big roles for Cheverus. Turner successfully defended her title in the 400 (59.22), finished second in the 200 (26.43) and ran on the two relays. 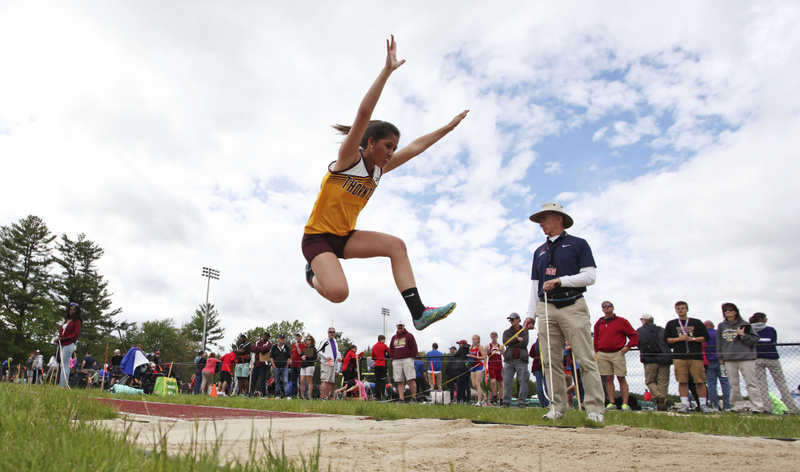 White also was on both relay teams, and won the long jump (18-2) and took second in the triple jump (36-8). 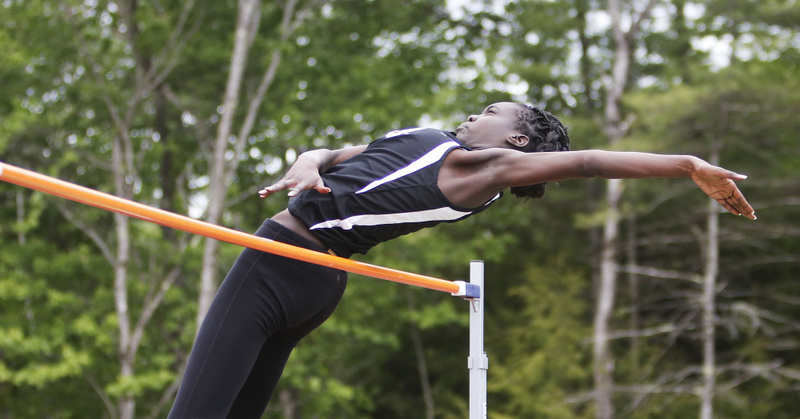 Rihan Smallwood of Bangor also set a state record in the pole vault with her mark of 11-71/4, which erased the 2013 record of 11-7 set by Lindsey Folsom of Cony. 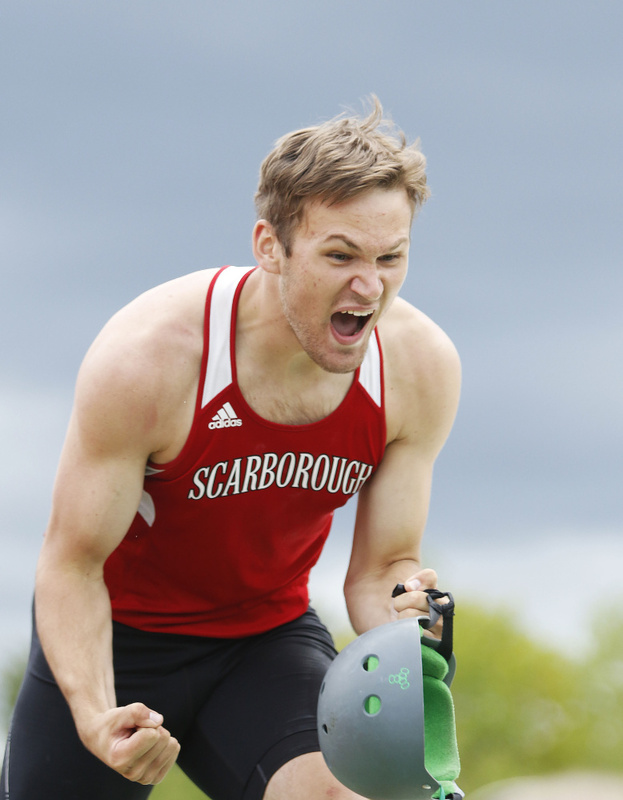 In the boys’ meet, Scarborough senior Ben Batoosingh set the tone. He went into the 400 seeded fourth but improved his time by 1.5 seconds to win the event (50.43). Batoosingh also finished second in the 200 (22.66), and helped the Red Storm win both the 400 and 1,600 relays. 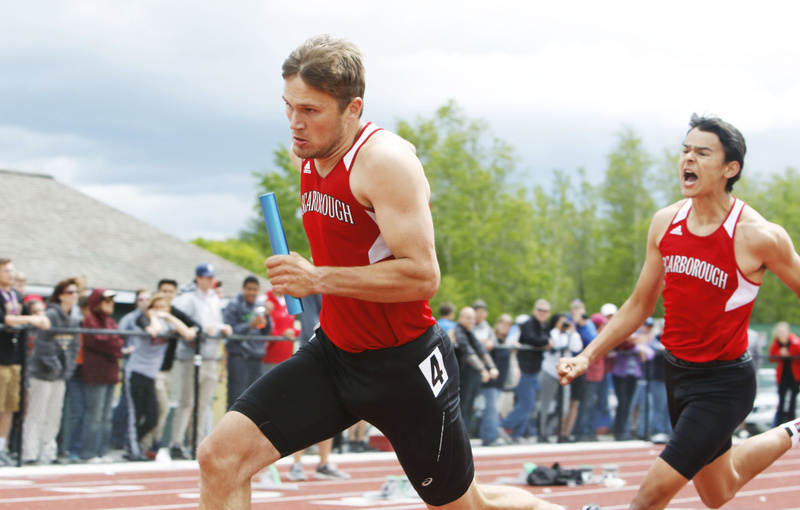 Scarborough’s time of 42.99 in the 400 relay broke the record of 43.32 set by Cheverus in 2014. The winning time in the 1,600 relay was 3:31.61. 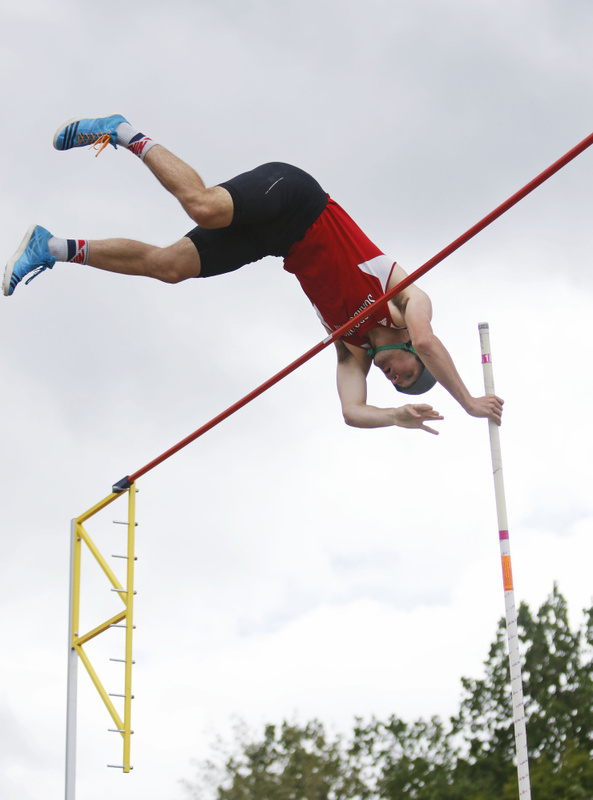 Rusak said he was so inspired by his fellow captain and teammate that he grabbed a longer, 16-foot pole for the first time in a meet to have a better shot at the state record. 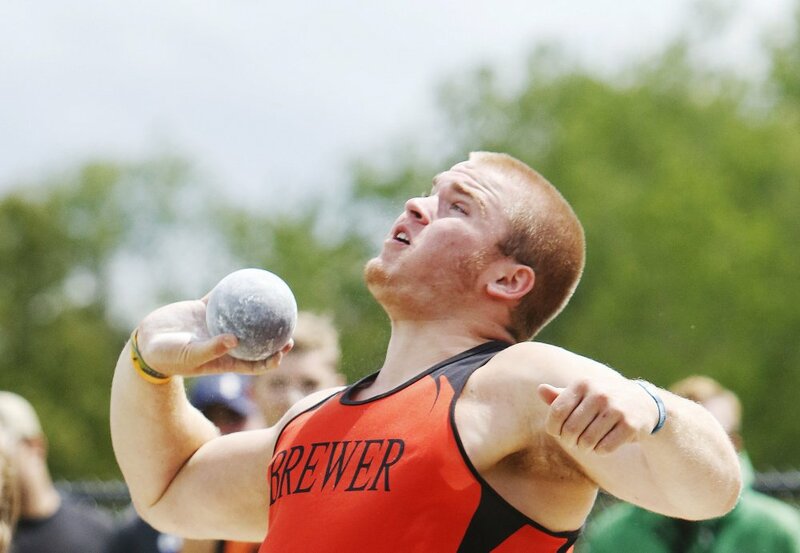 After not getting over the bar on his first attempt, Rusak cleared the 16-foot mark with ease on his second try, matching the 2008 record set by David Slovenski of Brunswick. Minutes later, Rusak jumped on the track next to the pole vault pit to run the anchor leg for the 400 relay. Then, despite straining his right hamstring in the relay, Rusak taped it up and went to the high jump. While he limped off the mat after his first jump, he cleared 6-0 to finish second.